When you have PMDD, you have an increased sensitivity to your reproductive hormones, namely estrogen, and progesterone. This sensitivity is believed to be caused by an alteration in a gene complex that processes how your brain responds to estrogen and progesterone. The symptoms of this altered response occur only in the two weeks before your period. They are likely due to the changing hormone levels triggered by ovulation rather than just the hormones themselves. Current treatment options are limited. Some available medical treatments work by stopping your ovulation, which turns off the monthly fluctuations in your hormone levels. Other medications work by directly correcting the chemical imbalance in your brain caused by your body's altered response to your menstrual cycle hormone changes. If you are considering surgery to treat the symptoms of PMDD it is likely that you have had little or no success with the available medical treatments options. It is very important to remember that surgical management is irreversible. You and your doctor will need to review your clinical course. Be sure that you have exhausted all the available medical and complementary medical options. Remember that it often takes a combination of both types of medical treatments to improve your symptoms. After a critical assessment of your clinical course, you and your doctor may decide that surgical management is appropriate. Surgical management of PMDD takes the treatment principle of ovulation suppression to a whole other level. In fact, it completely eliminates your ovulation which in turn eliminates your menstrual cycle hormone changes. What Is the Surgical Management of PMDD? The surgical management of PMDD consists of a hysterectomy and bilateral salpingo-oophorectomy that is, removal of your uterus, ovaries, and fallopian tubes. Let’s break it down. Removal of your ovaries. Removing your ovaries is the crucial step for treating PMDD. Your ovaries are the source of your reproductive hormones. When your ovaries are removed you have removed the source of your reproductive hormones. That means, no more ovulation and no more changing hormone levels. Removal of your uterus. Your uterus does not produce any hormones and does not contribute to PMDD symptoms. Your uterus just responds to your changing hormones levels. Its sole function is to carry a pregnancy, and every month when that doesn’t happen you get your period. Likely, if you are choosing surgical management of PMDD, you have decided you are done having children. If this is not the case you need to discuss other options with your doctor. After your ovaries are removed you will be in menopause. Your doctor will suggest that you start hormone replacement therapy to help protect your bones and heart and treat the unpleasant symptoms of surgical menopause. It is thought that progesterone is primarily the problematic hormone in PMDD. With your uterus removed, it is safe for you to take estrogen replacement without progesterone. Removal of your fallopian tubes. Just like your uterus, your fallopian tubes do not produce any hormones. Their function is to get your ovulated egg fertilized and into your uterus. Leaving them behind while removing your uterus and ovaries makes absolutely no sense. Also, it is likely that the fallopian tube may be the origin of a certain type of ovarian cancer. Removal of the fallopian tubes at the time of hysterectomy is recommended and is known as an ovarian cancer risk-reducing procedure. The surgical management of PMDD is irreversible, and you will be in menopause immediately after the surgery is finished. Although entering menopause will bring relief from PMDD, it has other significant implications for your health and wellbeing. So it is very important to try and predict how well you will respond once you no longer produce your own ovarian hormones. Choosing surgery to treat your medication-resistant PMDD is a difficult decision. Here are the basic minimum criteria that should be met before making your final decision. Confirm your diagnosis of PMDD. Because the side effects and health consequences of this treatment option are so significant, it is really important to get the diagnosis right. Reviewing or repeating your daily symptom diary for at least two cycles is recommended. It is very important to distinguish between PMDD and PME or the premenstrual exacerbation of an underlying mood disorder. If you are having symptoms outside of your luteal phase, having your ovaries removed will absolutely not help improve or eliminate these symptoms. Predict your response. Luckily there is a medical treatment that can help predict how well you will respond to surgical management. Leuprolide acetate or Lupron is a GnRH agonist that is used to temporarily turn off your ovaries’ production of estrogen and progesterone. It puts you briefly into menopause and its effect is entirely reversible. You should not even consider surgical management unless you have challenged your symptoms with GnRH. Some experts even recommend that GnRH should be used for at least 6 months with good results before surgery is considered. Try out hormone replacement. Not only is the GnRH agonist challenge important to predict your response to surgery, but it also gives an opportunity to predict how well you will tolerate hormone replacement therapy. Because you will be in menopause early, it is recommended that you take estrogen replacement to protect your bones, cardiovascular health, and to help manage the symptoms of menopause. You are done having kids. This can be a very difficult and emotional decision for some women. Once your ovaries are removed, you cannot produce an egg. And once your uterus is removed, you can no longer carry a pregnancy. It is crucial that you are certain about your decision. Make sure you get the support and perhaps counseling that you and maybe your partner need before you go forward with the surgery. If you are considering surgical management of PMDD, you likely have exhausted all other possible treatment options. You are probably scared and confused. 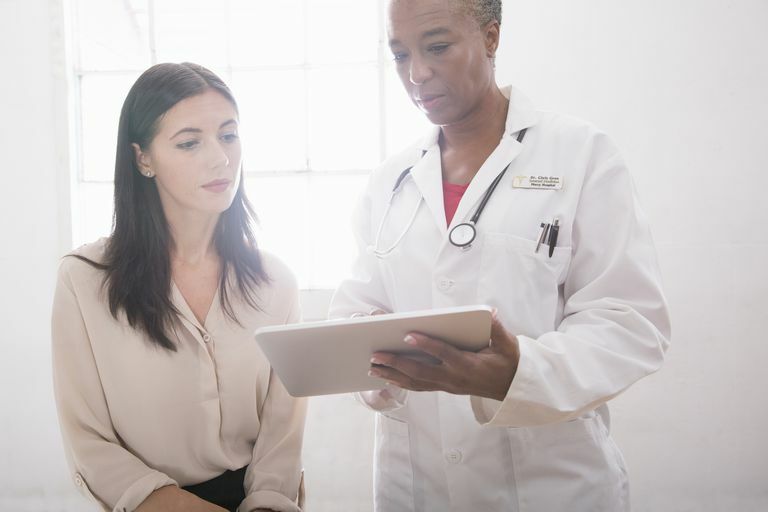 Working with the right doctor and finding peer support through groups such as the Gia Allemand Foundation can help you make the best decision to help you live very well with PMDD. Do You Have Period Problems?